Blue Origin has argued that the Air Force should delay the selection of launch providers and give companies more time to develop their vehicles. WASHINGTON — Air Force officials are scheduled to meet this week with Undersecretary of Defense for Acquisition and Sustainment Ellen Lord to go over the final details of a solicitation notice for the procurement of national security launch services. A green light from Lord is the last item on the checklist before the Air Force can issue the final request for industry bids for the Launch Service Procurement, or LSP. This is a high-stakes competition in which only two companies will be selected in 2020 to compete for up to 25 missions over a five-year period. An Air Force official confirmed to SpaceNews that a meeting with Lord is scheduled for March 28. The Air Force released draft requests for proposals in December and in February, and plans to issue the final RFP on March 29. The LSP is the first competitive procurement of launch services under the program that used to be called Evolved Expendable Launch Vehicle and was recently renamed National Security Space Launch. NSSL is one of only three Air Force major acquisition programs that require Pentagon approval for critical milestone decisions (the other two are the OCX next-generation operational control system for the GPS constellation and the presidential aircraft recapitalization). According to sources, the leaders of the Air Force Space and Missile Systems Center and the Air Force’s top acquisition executive Will Roper have signed off on the final LSP solicitation and want to get the program going. Once the final RFP is issued, bids would be due 60 days after. Air Force officials have cast the LSP as a pivotal step for national security space launch as the Pentagon seeks to tap the capabilities of domestic commercial providers and comply with a legislative mandate to stop using United Launch Alliance’s Atlas 5 rocket which has the Russian RD-180 as its main engine. “We need to grow a new industry base,” Roper told reporters in October following the announcement that the Air Force was awarding $2.3 billion in Launch Service Agreement development contracts to three rocket manufacturers so they could prepare to compete in the LSP. 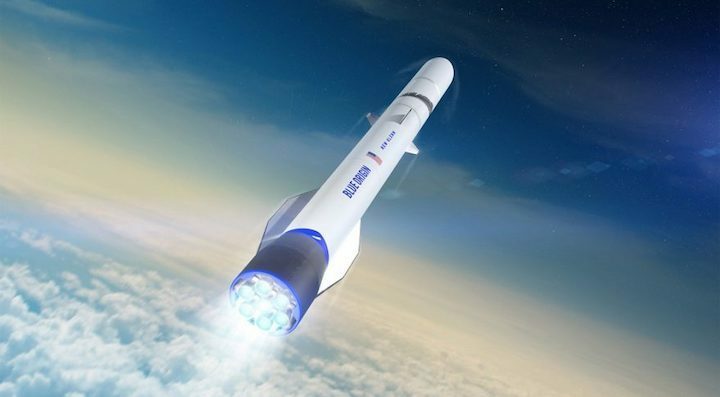 The vehicles selected for LSA contracts were Blue Origin’s New Glenn ($500 million), Northrop Grumman’s OmegA ($792 million) and ULA’s Vulcan Centaur ($967 million). LSAs are cost-sharing arrangements — the funding is spread over five years to help the companies pay for the cost of the infrastructure and vehicle modifications that would be required for commercial rockets to be certified to fly national security missions. The companies in turn have to commit to funding a portion of the cost. Air Force officials expect all three to submit bids for the LSP competition, also known as Phase 2. It’s an open competition so SpaceX, which notably did not win LSA funds, is likely to bid as well although SpaceX supporters on Capitol Hill have warned the Air Force that the company might reconsider its future in the national security market in light of the LSA decision. The Air Force requires all LSA winners to compete for the LSP, or else their cost-sharing partnership with the Air Force would be terminated. Another key twist is that the Air Force will cut of funding to those companies that are not selected for LSP, setting the stage for a competition where the losers end up with no procurement or development money. In the draft RFP, the Air Force said the most important of the selection criteria is technical performance such as being able to deliver national security payloads to nine reference orbits around the Earth. Other evaluation criteria include management and business approach, past performance and price, to be prioritized in that order. But some competitors already have let if be known that they don’t believe this is a fair competition. Industry sources said Blue Origin for months has been trying to make the case that the LSP decision is being rushed unnecessarily, and that companies should be given more time to develop their vehicles. None of the three LSA competitors, for example, will be ready for their first launch until 2021. Blue Origin executives have argued that the schedule puts newcomers at a disadvantage, which contradicts the Air Force’s rhetoric about wanting to broaden the launch industrial base. According to industry sources, the company has asked the Air Force to delay the LSP award 12 to 24 months so competitors can more fully develop their rockets and complete infrastructure upgrades. Former Virginia congresswoman Barbara Comstock, now a Blue Origin adviser, in a op-ed published in DefenseOne made the case that the Air Force also should consider selecting three companies, rather than two, for the LSP five-year deal. Another reason to delay the LSP award, proponents contend, is that the Air Force by narrowing the field to only two players too soon risks losing access to private investment in launch systems. In Blue Origin’s case, the cost of the infrastructure that would be required for New Glenn to launch national security payloads is approximately $1 billion — half of which would be funded with LSA money. But if Blue Origin does’t make the LSP cut, it would no longer get that money and the company’s billionaire founder Jeff Bezos might not continue funding that infrastructure out of its own pocket. When the next LSP competition comes around years from now, even if the company is successful in the commercial launch market, it would not be able to compete if it lacks the infrastructure for national security missions — including launch sites on both the East and West coasts, and facilities for the vertical integration of military payloads. One industry source said some officials in the Office of the Secretary of Defense would support delaying the LSP vendor selection, something that the Air Force strongly opposes. ULA has been in the game for a long time, but it’s developing a new vehicle for the LSP with a new engine and propellant choice. “Even the most traditional of the government suppliers is doing something completely new in this competition,” said Kendall.